Winterbrook was built in 1880 as a gentleman’s residence. 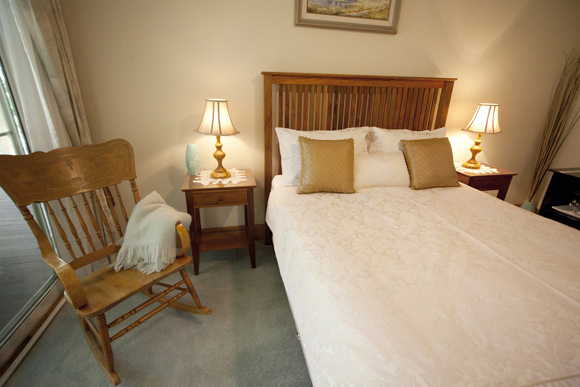 Over the past 100 years it has been extended and renovated and now opens its doors as a Bed and Breakfast with 1 1/4 acres of gardens to sit or stroll through enjoying the different seasons of the year. 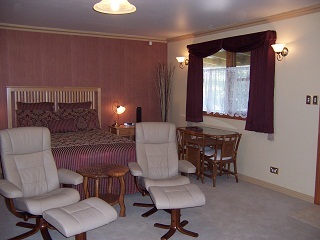 Accommodation consists of a queen bedroom with an en-suite. The room is spacious, elegantly furnished and offers a TV/DVD, refrigerator, electric blanket with central and panel heating. 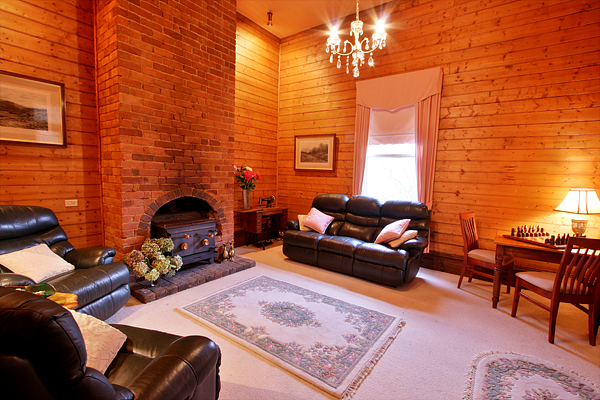 A dining room and lounge room is available for guests private use. Virtually half a house to use. Ideal for 2 couples travelling together. A hearty continental breakfast is included. 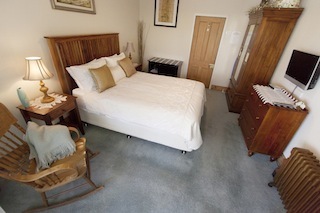 Accommodation consists of a queen bed with a separate private bathroom (across hallway) with access to a wide verandah. The room is spacious, elegantly furnished and offers a TV/DVD, refrigerator, electric blanket with central or panel heating.A full size foldout king bed and a porta cot is also available The dining room and lounge are available for guests private use. A hearty continental breakfast is included. Virtually half a house to use. 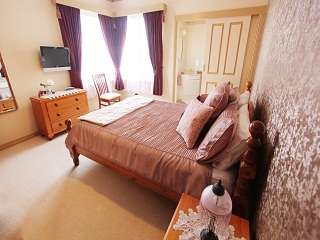 Ideal for 2 couples travelling together. 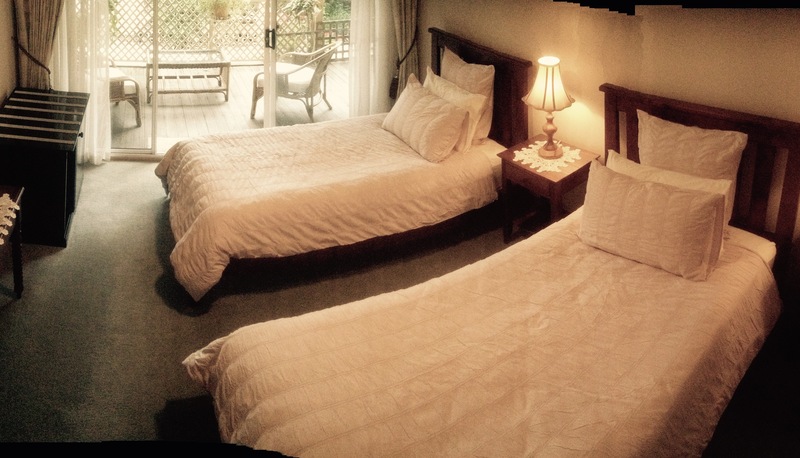 Self catering accommodation consists of a queen size bed amongst luxurious surroundings. 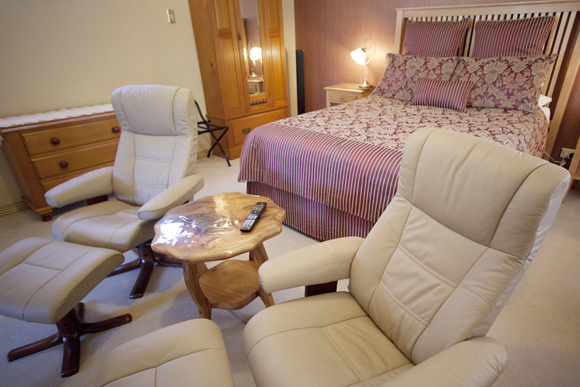 Leather armchairs, a large screen digital LCD TV & Bluray player. The heat pump warms you in winter and cools you in summer. 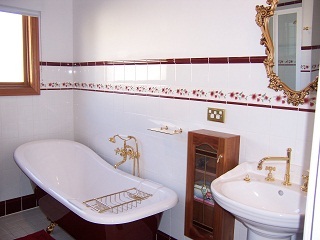 A fullsize ensuite bathroom from yesteryear equipped with a clawfoot bath, double shower complete with 2 sets of roses and taps and an old style pedestal basin. A fully equipped kitchenette (no hotplates) with a full size fridge, microwave and dishwasher. The wide verandah boasts an electric BBQ and comfortable seating to enjoy the winters afternoon sun or the summers shade overlooking the gardens. The optional king single fold out bed & porta cot are available for families. The "Cottage" is your home away from home. Full breakfast provisions are provided for the 1st night only.